runs through Sunday, July 8. A reception with artists is scheduled from 2:00 p.m. to 5:00 p.m. on Earth Day, Sunday, April 22, 2018. 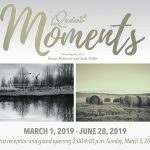 The juried art exhibit features paintings, drawings, photographs, fiber artwork, and sculptures depicting the theme of reverence or care for Earth and the beauty of nature. 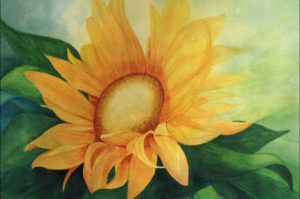 “Artists from Lenawee County and beyond have submitted work that helps us see with eyes of concern and hope,” said Sister Suzanne Schreiber, OP, Coordinator of INAI: A Space Apart. In addition to the art gallery, INAI: A Space Apart offers quiet space for personal reflection and meditation. It is open from 8:00 a.m. to 6:00 p.m. Monday through Saturday, with extended hours on Thursdays, 8:00 a.m. to 8:00 p.m. All are welcome free of charge to enjoy this quiet space and to explore the exhibit on our common home, Earth. INAI: A Space Apart is adjacent to Weber Retreat & Conference Center, on the campus of the Adrian Dominican Sisters Motherhouse, 1257 E. Siena Heights Drive, Adrian. Enter the Eastern-most driveway of the complex and follow the signs to Weber Center. For information, call the Weber Center at 517-266-4000. Download the Weber Center eNewsletter. Copyright © 2019 Weber Retreat and Conference Center. All Rights Reserved. Weber Center strives for sustainability and zero waste.